Mark Angelo is a river conservationist, a teacher, and a writer. He has volunteered countless hours to environmental issues affecting waterways ranging from creeks and streams in his own community to the major waterways of B.C. : the Fraser, the Nechako, the Tatshenshini. He founded B.C. Rivers Day, the biggest event of its kind in North America. Last year more than 20,000 people helped in stream cleanups and fishery enhancements. He writes regularly in newspapers and magazines, has helped organize nearly every major river conference in Canada since 1980, and is a much sought-after speaker. He was also influential in British Columbia joining the Canadian Heritage River System. He is the B.C. representative on that national board and chair of the B.C. Heritage Rivers program. 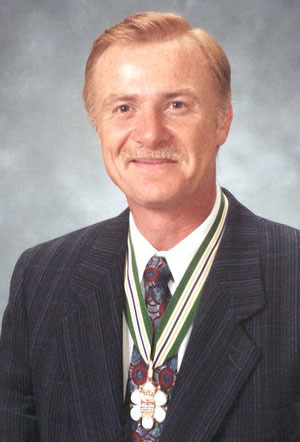 He was the inaugural recipient of the “Ten Year National River Conservation Award” as Canada’s outstanding river conservationist.